It is said that the best playground design is entirely designed by children. In academia, the most successful curriculum is also the one that lets children take ownership of their studies. Putting this principle into practice, Integem has scientifically developed the Holographic AR STEAM (Science, Technology, Engineering, Art, and Math) education program that inspires students’ creativity, design thinking, problem solving, and self-motivated knowledge & skill learning. This turns monotonous classrooms into interactive laboratories where students use their imagination, creativity, knowledge and skills to tackle challenges of various complexities. These innovative learning styles, explained in more details below, help students understand, communicate, and make the most use of their surroundings. Project-based education transforms the act of learning from a transfer of knowledge into an exploratory experience in which students become the adventurers and teachers, their guides. This hands-on approach allows students to add contexts to abstract ideas making complex problems appear less intimidating. Applicable in many educational environments, this method is especially beneficial in learning holographic AR and similar disciplines that emphasize practical applications. In Integem’s educational programs, students acquire knowledge by creating their own holographic AR experiences from start to finish. As they look for solutions to problems that arise during the process, they learn essential STEAM (science, technology, engineering, art, and math) concepts and soft skills. Moreover, students remember what they have learned faster, like how the old adage puts it “Tell me and I forget. Teach me and I remember. Involve me and I learn.” Most importantly, learning by doing is much more fun than listening to lectures and memorizing facts. At any given time, they can be designers, animators, researchers, programmers, or engineers depending on the problems they are trying to tackle. Though challenging, strategic hands-on experience leads to a more thorough understanding of the science and art behind this complex technology. Students are each other’s’ best teachers. They learn from each other, inspire each other, and help each other improve. Research has shown that “learning with and from each other is a necessary and important aspect of all courses. The role it plays varies widely and the forms it takes are very diverse, but without it students gain an impoverished education” (Footnote 1). Our Holographic AR STEAM programs utilize Montessori-like peer-to-peer learning methodology to encourage students share their knowledge with one another. From storyboards to final creations, students invite their peers along on their thinking processes. In return, students gain confidence in their technical skills, learn to see with critical eyes, and become better communicators. Furthermore this greatly motivates students to learn and gives every student leadership opportunity when helping others. Perhaps the most important soft skill in the 21st century, teamwork is instrumental to a product’s success and longevity. In holographic AR classrooms, while students will create their own individual projects, students will collaborate on many aspects of the creative process from user study to idea generation to testing. Students produce better work when they work together. However, it’s not just the final product that makes teamwork worthwhile, but also the process in which students find inspiration and joy in their cooperation. Working together doesn’t mean working less. In fact, it requires many extra steps. Students need to explain the reasons behind their decisions, convince their team members of their ideas, and address concerns from different sources. However, the benefits far outweigh the efforts. As they work together, they listen, communicate, solve conflicts, learn, negotiate and form lasting friendships. Holographic AR programs take place in nurturing environments specially designed to foster learning. Aiming to instill an I-can-do-it attitude in students, holographic AR classes encourage questions, disagreements, and outside-the-box thinking. The highly engaging curriculum motivates children to learn and create without exerting external pressures in the forms of grades, exams, and competitions. Feeling safe and supported, students become more eager to participate in classroom activities and more open to different opinions. A small student-to-teacher ratio further ensures that each student’s concern is carefully considered. Students will learn about the many strategies to complete an AR project and decide on the most applicable ones for their particular designs. The goal is to train students to see problems from multiple viewpoints because many challenges that seem intricate initially become much more straightforward when viewed from a different direction. Moreover, there are many ways to solve a problem, with some being more efficient than others. Students develop critical decision-making skills as they seek not only the solution but also the most effective method to arrive at the answer. Meta-cognition refers to the ability to understand and analyze one’s thought processes. In essence, it’s the capability to focus on not only the result of thinking, but the process, the reasons, and the strategies of thinking. Strong meta-cognitive skills have been linked to improved productivity, analytical skills and academic success (Footnote 2 & 3). Holographic AR programs inspire meta-cognitive learning in many ways. First, students are encouraged to look at their work from multiple perspectives. The first thing students do before embarking on their storytelling journey is to define their audiences. By understanding and empathizing their audiences’ needs, habits, and feelings, students become more empathetic and more emotionally relatable. The empathy gained urges them to constantly evaluate their work from the users’ point of views during their learning processes. 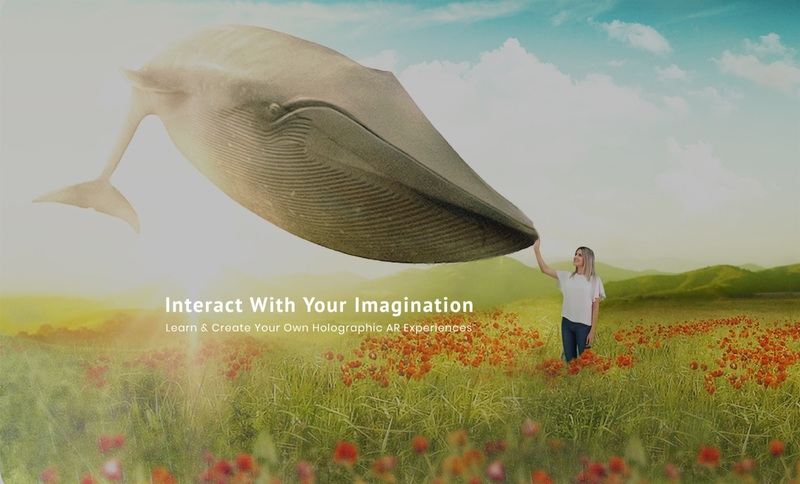 A successful holographic AR experience combines a captivating plot, an attractive user interface, and smooth interactions between humans and machines. This unique combination of multidisciplinary elements requires students to think and act like designers, animators, researchers, programmers, and engineers all at once. As they look at their creations through the eyes of different people, they become more aware of their thought processes and ways of reasoning. Secondly, students have many opportunities to give and receive feedback from their teachers and peers. Through giving, they exam others’ work and think about how they’d do things differently had they been put in their classmates’ situations. And by receiving, they understand their classmates’ takes on their projects and use them to broaden their understandings of their own goals. Lastly, students have the freedom to define their individual learning trajectories. The flexibility paves ways to more profound questions and more strategic preparations. 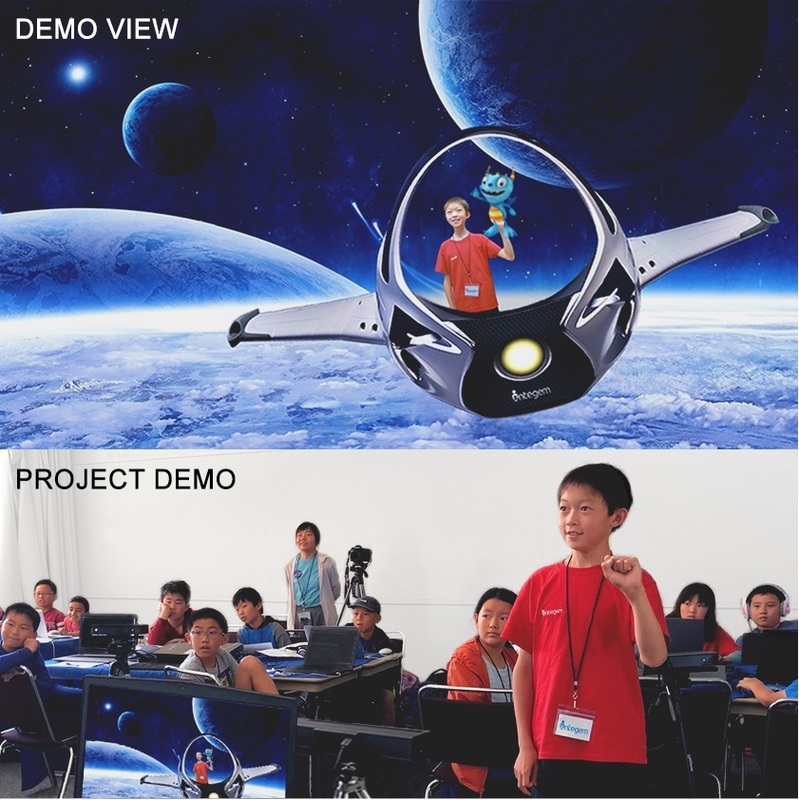 Like a well-designed playground that delights children with a creative setup of structures and tools, a holographic AR classroom cultivates fun and positive learning environments. Through hands-on projects, teamwork, presentations, peer learning, and self-evaluations, students learn to think critically and efficiently from multiple perspectives. This wide range of experiences challenges students to think outside the box while at the same time keeps them engaged and motivated. As students master the skills to create captivating holographic AR stories, they also become experts at learning. And that’s perhaps one of the most critical skills to acquire because once they know how to learn, they can learn everything. Furthermore, the Holographic AR education program experience helps student build self-confident, leadership skills, public speaking skills, problem solving skills, social skills, and empathy besides learning STEAM concepts and programming. 1. Boud, D. (2001). ‘Introduction: Making the Move to Peer Learning’. In Boud, D., Cohen, Ruth & Sampson, Jane (Ed.). Peer Learning in Higher Education: Learning From & With Each Other. London: Kogan Page Ltd, 1–17. Learning Holographic AR programming: a Great STEAM Education Opportunity for... What does STEAM stand for in Education?